Linked up with Kayakless(Miguel Martinez) who recently became the un-offical TPWD catch and release state record holder for speckled trout. It would have been offical if they would have taken a picture of the beast with a ruler! 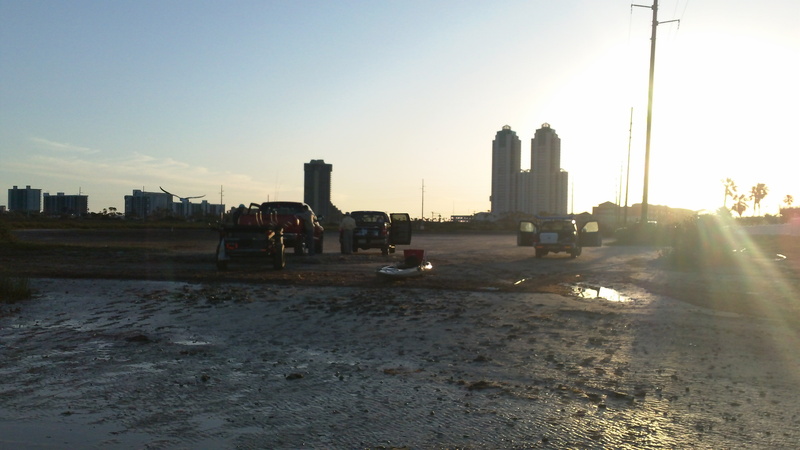 He picked me up at 5am and we loaded and departed for South Padre Island. Some of our fellow kayakers were planning a small group outing called a “TILLA” short for Floatilla. During these excursions we kayak in a loose group for safety and to cover more water.We all carry radios so when the bites on we let our buddies in on the action. 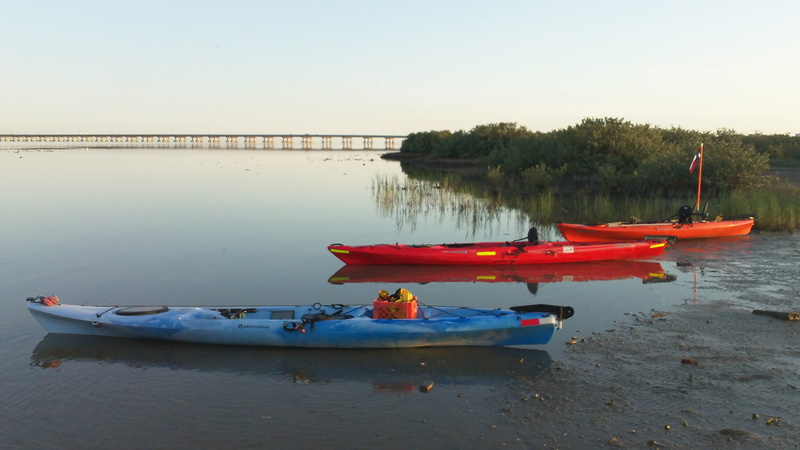 The launch site was the KOA boat dock area next to the fishing pier(next to the dock there are salt flats perfect for kayak launches). The only kicker is that Kayakless had to be home by 2pm for a birthday party. We launched in great conditions with a slow incoming tide, which would be at its fullest around 12:30. Quickly I arrived to a very familiar spot. The range tower in Mexiquita has always provided great fishing. Its about 4-5 ft deep with lots of grass coming up from the bottom. Perfect for trout and reds. I caught a 15.5 inch trout with a quick retrive and fast presentation. So I slowed it down and caught another but under-sized. I continued to cast but the bite seemed to have slowed down. I moved over to the south-side of the tower and picked up another keeper. After that the bite went dead for the area. I moved off to hit the potholes figuring that an incoming tide might help my chances of catching some reds. I had two quick strikes which took the tails off my Kelly Wigglers after that nothing. So I switched off to a popping cork and worked the break in the spoil island. Myself and 10 other boats were thinking the same thing so I went back to the tower. By the time I arrived there the tide had come in and the trout were active. 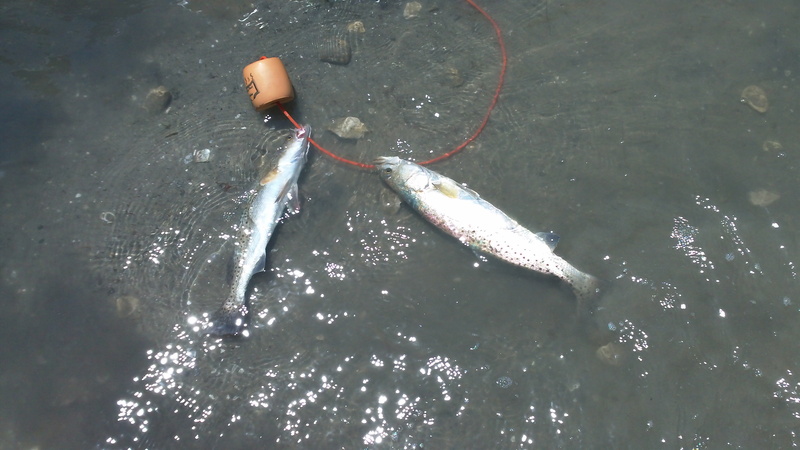 I lost a trout at the boat and had several short strikes but unfortunately had to leave them biting to make it back to the launch site in time.